c. 1987 Cong SA, Switzerland. All rights reserved. 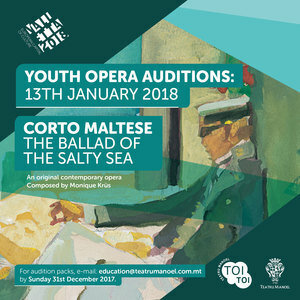 Teatru Manoel Education Programme: Toi Toi and the Valletta 2018 Foundation are producing a commissioned piece with a score by Monique Krüs and libretto by Tama Matheson on Thursday 20th September and Saturday 22nd September 2018. Corto Maltese, the most enigmatic hero of the Italian adventure comic series, known as ‘the rogue with the heart of gold’ and created by Hugo Pratt, is the protagonist for the first ever staged opera production of the first adventure: The Ballad of the Salty Sea. Directed by Corina van Eijk and conducted by Monique Krüs. 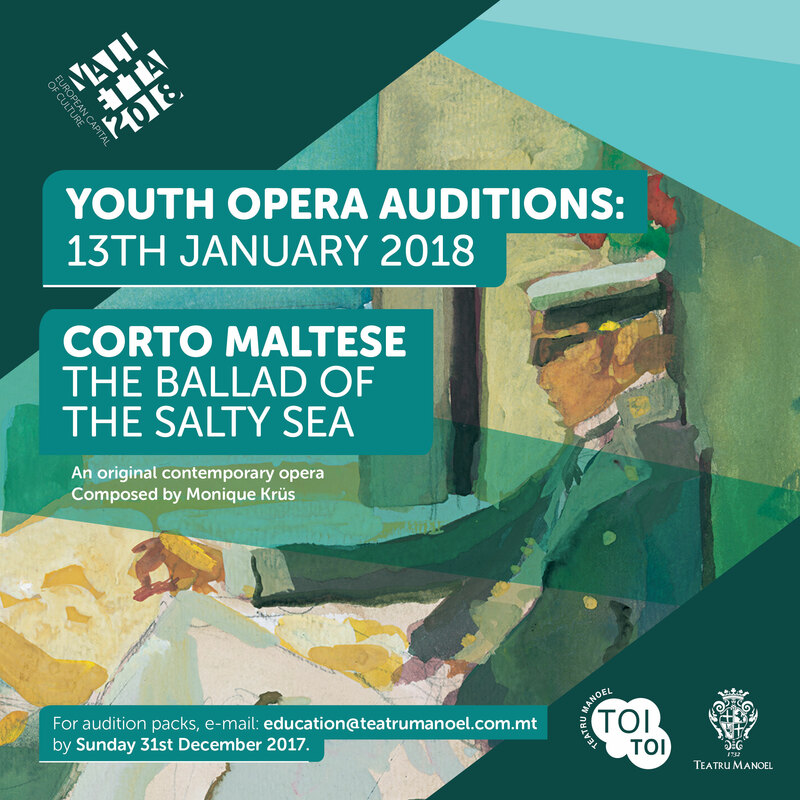 This is the fourth annual youth opera, produced through a match-funding initiative with the Valletta 2018 Foundation and as part of the Cultural Programme for Valletta 2018 – European Capital of Culture.